Marvel at an ancient irrigation system that withstood time! See the structure that has drawn the attention of historians and scientists around the world! Great view great place to travel in Chengdu with historical background. The innovations, inventions, and ingenuity of Ancient China has fascinated the world for centuries. 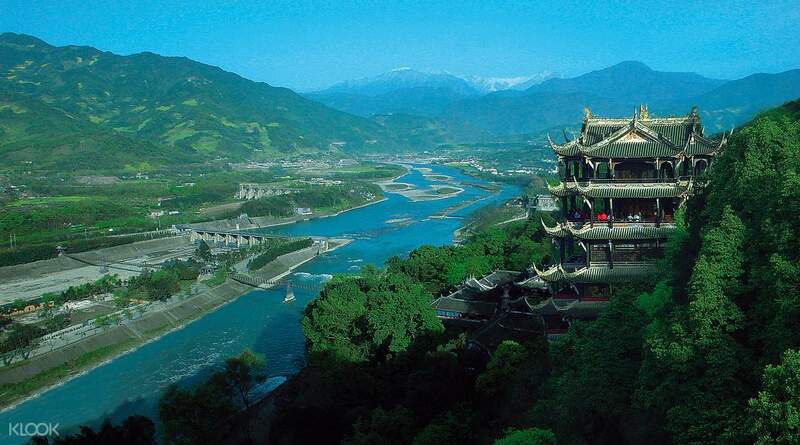 This ticket gets you a chance to visit one of the most innovative wonders of the Ancient Chinese world: Dujiangyan in Chengdu. This structure is a specialized irrigation system, one of the heights of technology at the time. 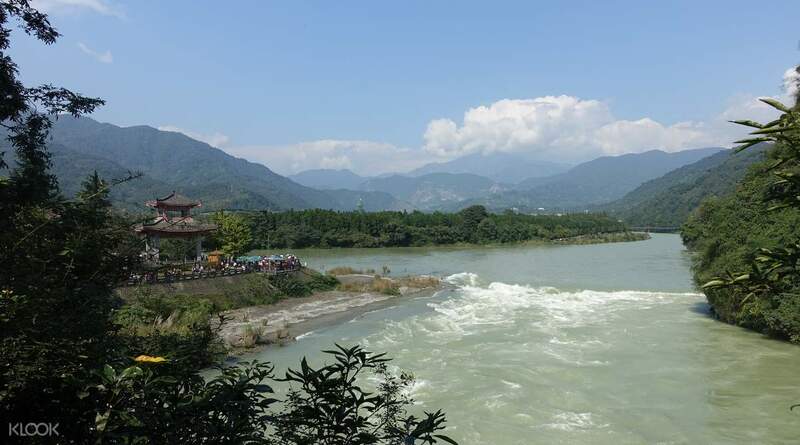 Specifically designed to stem the floods from the Minjiang River, its construction allowed the province to become one of the most vital agricultural territories in the country. As you explore this structure, you’ll learn about its history, and what exactly made its invention so groundbreaking especially for its time period. See the three major areas of it that have fascinated scientists: Yuzui, Feishayan and Baopingkou, and learn how these parts control the water flow. It’s an astounding educational and historical visit to Ancient China’s scientific advancements. 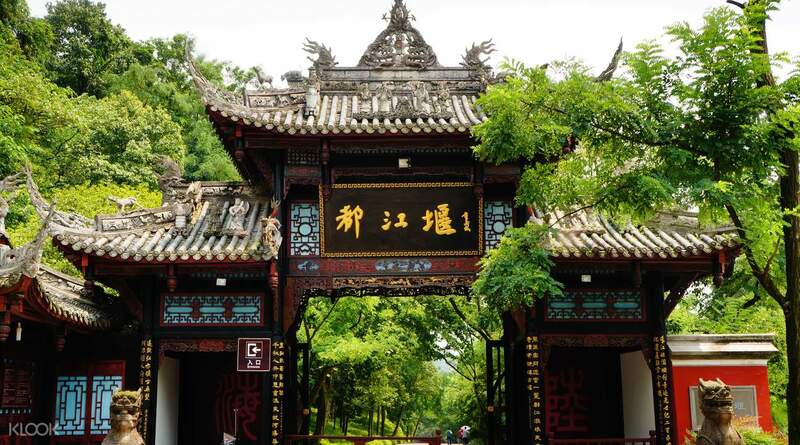 You can also visit Mount Qingcheng after visting Dujiangyan, since the two spots are very close to each other. Don't forget to buy your discounted Mount Qincheng ticket in advance! The CS at the online ticketing counter looked confused when I handed her the voucher n had to ask her colleague instead. Nevertheless still an enjoyable activity though it's drizzling n there's lots of noisy students. The CS at the online ticketing counter looked confused when I handed her the voucher n had to ask her colleague instead. Nevertheless still an enjoyable activity though it's drizzling n there's lots of noisy students. Its was a tiring climb but worth the effort.The view was amazing. Its was a tiring climb but worth the effort.The view was amazing. Great view great place to travel in Chengdu with historical background. Great view great place to travel in Chengdu with historical background. WORTH TO VISIT! VERY CONVENIENT TO BUY THE TICKET FROM KLOOK! WORTH TO VISIT! VERY CONVENIENT TO BUY THE TICKET FROM KLOOK! In case you have seniors travelling with you, those above 65 get discounted price and those above 70 can enter free. These discounts are only available at the ticket office. In case you have seniors travelling with you, those above 65 get discounted price and those above 70 can enter free. These discounts are only available at the ticket office. So amazing that they can built this. Highly recommend to visit. So amazing that they can built this. Highly recommend to visit.